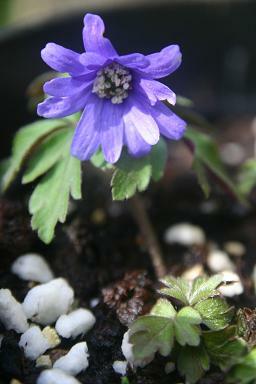 Anemone nemorosa 'Royal Blue' . 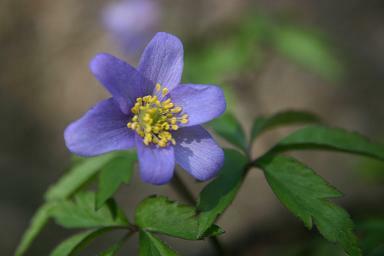 There are a mass of blue flowered Wood Anemones that have been named. They are all excellent, and very confused in cultivation. This came to me as 'Royal Blue' but could have carried a dozen other names without difficulty (or distinction). A very deep blue selection of Anemone apennina. I find that it continues in the garden quite well, but it doesn't really increase. I think it needs a bit more moisture than I can usually manage. 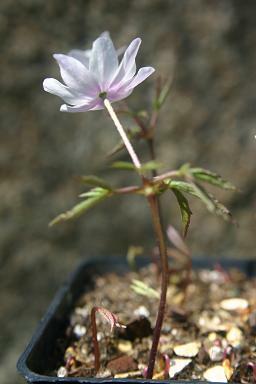 Anemone nemorosa 'Curries Pink' . This is just one of a mass of named varieties that will open white, and then get darker and darker as they age. They are all very similar but that doesn't seem to stop people naming new ones. I keep growing them in the hope that something distinctive will turn up one day. Each new variety to come along claims to be a true pink, but I haven't seen one yet! 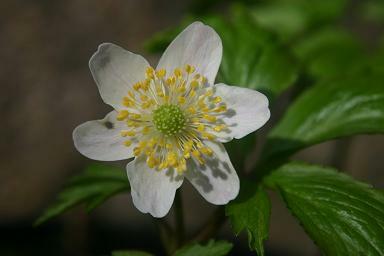 Anemone trifolia 'Pink Form' . This is an equivalent to Anemone nemorosa from the Alps. This is the first year I have grown this pretty pink form, and so far I am delighted with it.